Jim Anderson (B.M. Music Education, 1973) is an internationally recognized recording engineer and producer of acoustic music for recording, radio, television, and the film industry. 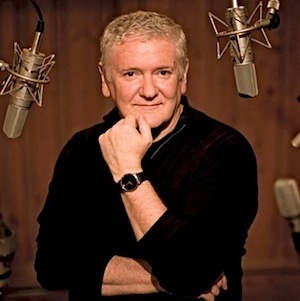 He is the recipient of numerous awards and nominations that includes ten Grammy awards and 26 Grammy nominations; his radio recordings have received two George Foster Peabody Awards and two Emmy Award nominations for television programs. At the 55th Grammys his 5.1 surround remix of Patricia Barber's album "Modern Cool" won for Best Surround Recording and the following year was Grammy nominated for his 5.1 surround recording of Jane Ira Bloom's "Sixteen Sunsets". In 2018, Jim received another GRAMMY for Best Surround Sound Album for his work as Co-Producer and Mix Engineer on Jane Ira Bloom's album, Early Americans. He is a Professor of Recorded Music at NYU's Clive Davis Institute of Recorded Music.